Imagine repeatedly lifting 165 times your weight without breaking a sweat – a feat normally reserved for heroes like Spider-Man. 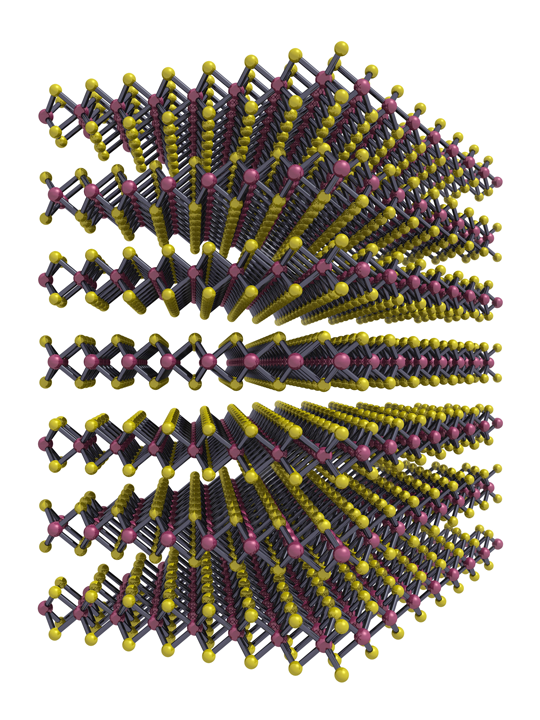 Its strength comes from a process of inserting and removing ions between very thin sheets of molybdenum disulfide (MoS2), an inorganic crystalline mineral compound. It’s a new type of actuator – devices that work like muscles and convert electrical energy to mechanical energy. 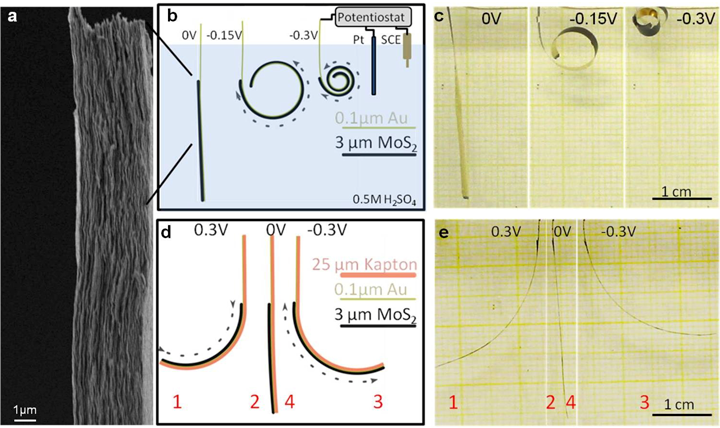 The Rutgers discovery – elegantly called an “inverted-series-connected (ISC) biomorph actuation device” – is described in a study published online today in the journal Nature. Actuators are used in a wide variety of electromechanical systems and in robotics. They have applications such as steerable catheters, aircraft wings that adapt to changing conditions and wind turbines that reduce drag, the study notes. This tiny Rutgers creation - 3 micrometers thick (far thinner than a human hair), 0.5 centimeters wide and 6 centimeters (about 2.4 inches) long -- rolls up when voltage is applied. The discovery at Rutgers University-New Brunswick was made by Muharrem Acerce, study lead author and a doctoral student in Chhowalla’s group, with help from E. Koray Akdoğan, teaching assistant professor in Department of Materials Science and Engineering, said Chhowalla, senior author of the study. A 3D rendering of molybdenum disulphide, used by Rutgers scientists to create a powerful new actuator – devices that work like muscles. Molybdenum disulfide – a naturally occurring mineral – is commonly used as a solid-state lubricant in engines, according to Chhowalla, who also directs the Rutgers Institute for Advanced Materials, Devices and Nanotechnology. It’s a layered material like graphite, with strong chemical bonding within thin layers but weak bonding between the layers. Thus, individual layers of MoS2 can be easily separated into individual thin sheets via chemistry. This shows very thin sheets of molybdenum disulfide (see a), a schematic and photos of working actuators. The extremely thin sheets, also called nanosheets, remain suspended in solvents such as water. The nanosheets can be assembled into stacks by putting the solution onto a flexible material and allowing the solvent to evaporate. The restacked sheets can then be used as electrodes – similar to those in batteries – with high electrical conductivity to insert and remove ions. Inserting and removing ions leads to the expansion and contraction of nanosheets, resulting in force on the surface. This force triggers the movement – or actuation – of the flexible material. Chhowalla and his group members found that their MoS2-based electrochemical device has mechanical properties such as stress, strain and work capacity that are extraordinary considering the electrodes are made by simply stacking weakly interacting nanosheets. “The next step is to scale up and try to make actuators that can move bigger things,” Chhowalla said.